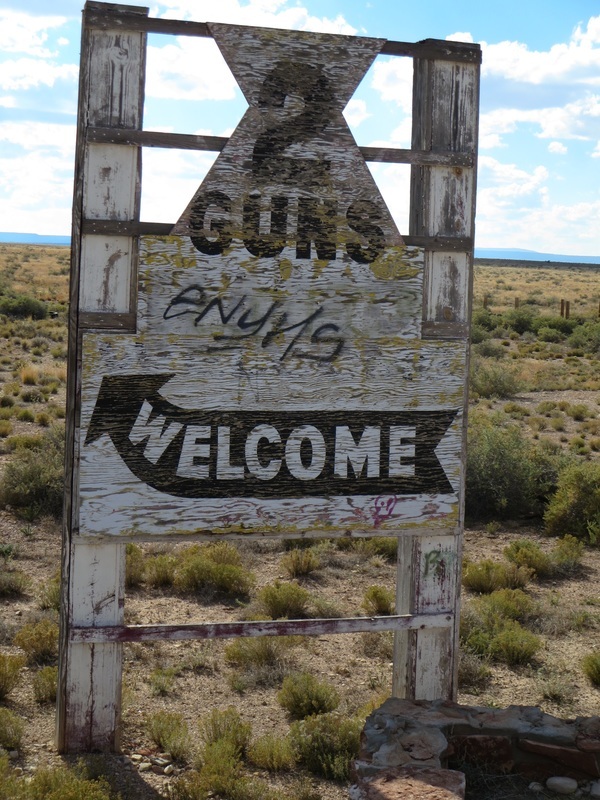 It's easy to pass Two Guns by on Interstate 40 despite its colorful name. 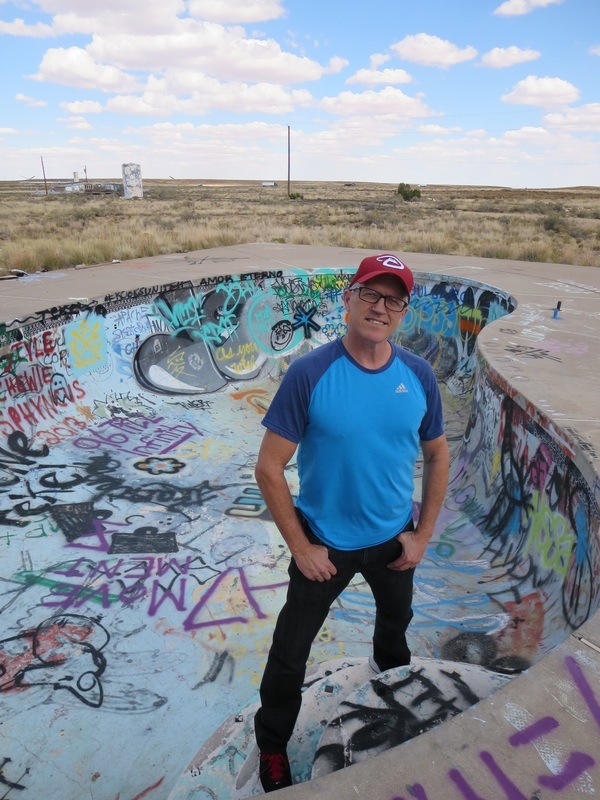 The firearm handle apparently is tied to a local black hat who referred to himself as "Two Gun" Miller and lived in a cave in nearby Canyon Diablo, according to historian Marshall Trimble. Other reports identify him as Henry E. Miller. Visitors will notice that Two Guns has been holstered. There are no tourist services, just the roadside ruins of a 1970s KOA campground and Shell gas station. Taggers have painted colorful murals at the camp's pool and someone slapped together a makeshift altar on the front of the gas station. 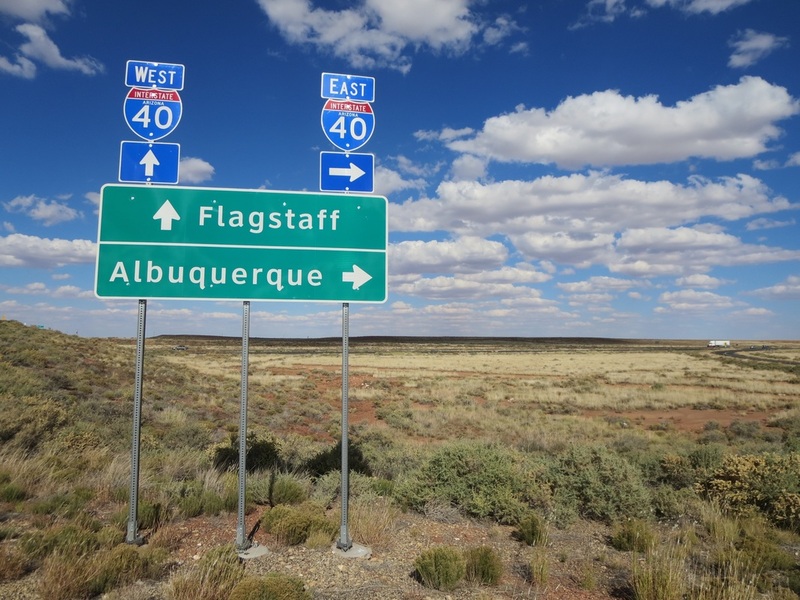 Two Guns is 30 miles east of Flagstaff at Exit 230. In the early 1880s, railroad construction halted at Canyon Diablo to complete a bridge over the deep gorge and finance it. A town emerged on the eastern side of the canyon with saloons, brothels and merchants along what was called Hell Street. 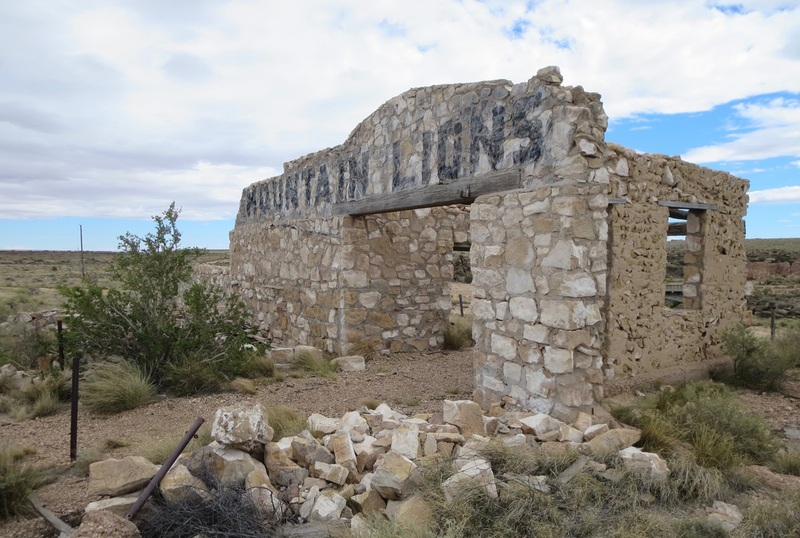 ​Nevertheless, the zoo ruins at Two Guns are among the most interesting faded tourist attractions on Route 66 in Arizona. Henry "Two Gun" Miller is credited with starting a zoo along Route 66 east of Flagstaff that included mountain lions, panthers and bobcats. 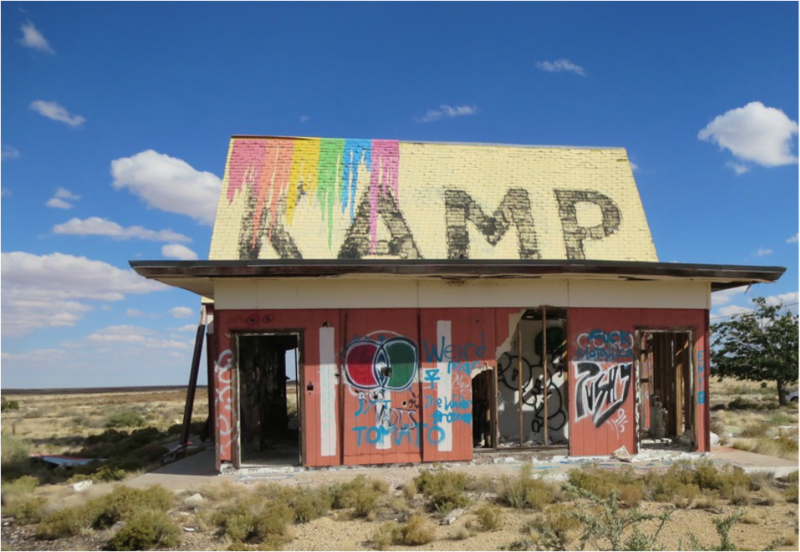 The roadside attraction of the Two Guns zoo is among the most fascinating road ruins along Route 66 in Arizona. The Arizona Roadie in the pool on a fall afternoon. No gasoline, no pumps, no tires to kick or oil to check. A cross and a random shoe at the Shell station ruin at Two Guns. 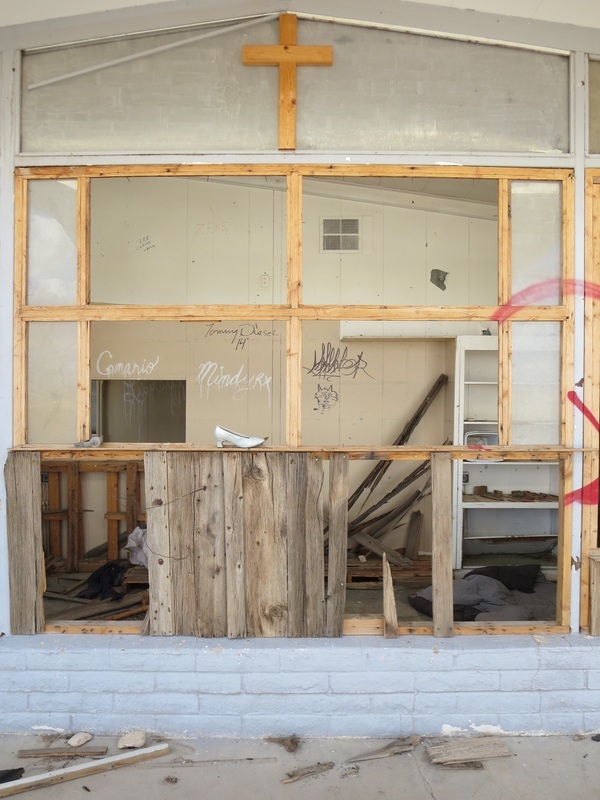 Vandals have targeted a former KOA campground office. 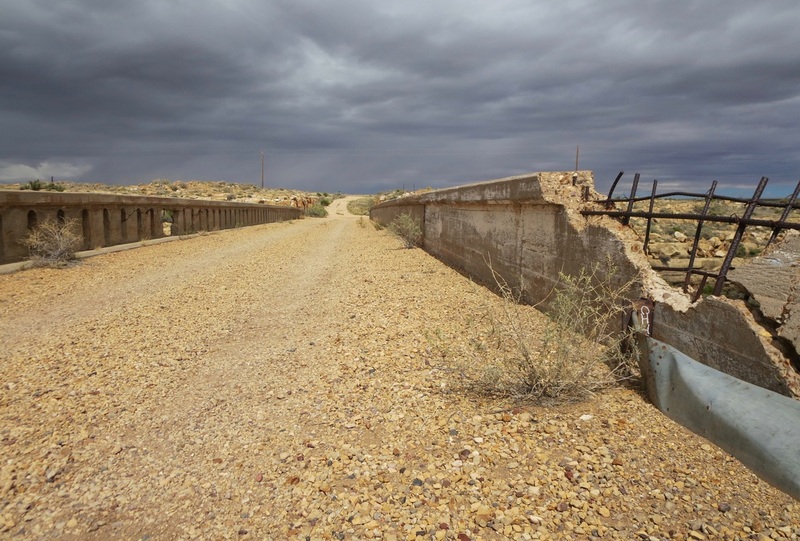 This crumbling bridge over Canyon Diablo is on an early alignment of Route 66 about 30 miles east of Flagstaff. Interstate 40 has left Two Guns in the dust. 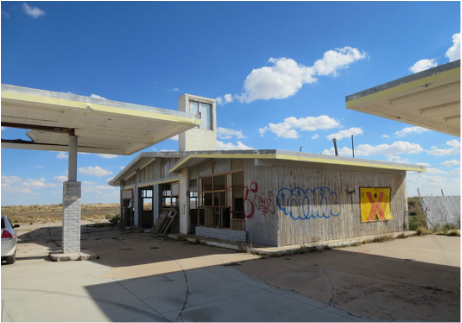 Motorists, big rigs and fleeting clouds roll by the ghosts of Route 66 that are here.